Known as the "hunter" this constellation has the most recognised astronomical objects. 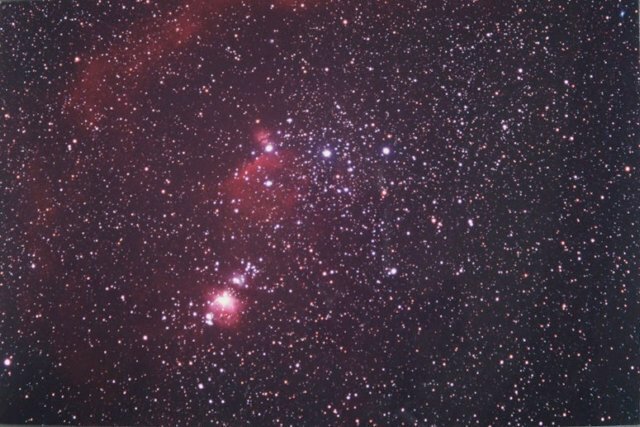 The Great Orion Nebula, the Horse Head Nebula and the "sauce pan" (3 stars around the belt of the mythical hunter). Photo by Chris Beere of the UK, using Kodak Ektachrome E200D Pro and a 40 minute exposure.